The recent descent of the Polar Vortex across a large swath of the U.S. resulted in dangerously low temperatures and the closing of many schools across the country. For many of us it brought back memories of childhood, glued to the morning news as they read the list of school closures on cold, snowy mornings. On such days one can almost hear the collective cheers of children (accompanied by the collective sighs of parents who suddenly need to make arrangements to have the kids at home all day). Nobody (except teachers and administrators) gives much thought to the havoc each snow day wreaks on the entire school system. And, of course, the resulting make-up school days that delay summer break are met with considerably less enthusiasm by all. As exciting as a winter day at home might seem initially, school closures – and the circumstances that cause them – can also be very isolating for children and put them at risk of falling behind in their studies. According to a study published in the Journal of Education Finance and Policy, excessive snow days have a negative effect on learning, especially at the elementary level. While more and more parents have jobs that allow them to work from home – either on a regular basis or during special circumstances like bad weather or needing to care for a sick child – students in school don’t usually have the “learn from home” option. While online schools provide a solution for many students who need to study from home, they’re not available on an as-needed basis to every student in the brick-and-mortar school system. Is it time to rethink how schools can facilitate more flexible online learning for students during weather-related school closures or when children are forced to miss school as they rehabilitate from injury or illness? The Random Lake school district in Wisconsin began planning for digital snow days about three years ago, making arrangements for technology that would enable students and teachers to connect remotely using learning apps and live videos. The Polar Vortex in late January 2019 provided a perfect opportunity to put those plans into action. Knowing that bad weather was on the way, parents who were in need of digital devices were able to pick them up from the school or have their students take devices home with them. When the arctic chill hit and schools closed, students eagerly logged on to see their teachers give lessons via video and to work on assignments online. Teachers found creative ways to inspire students with projects like watching YouTube videos or taking pictures and writing about their experiences with the snow. 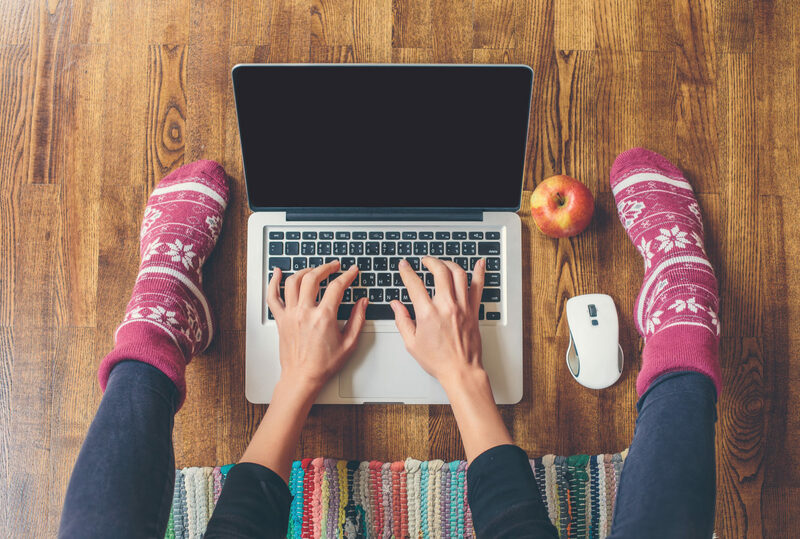 Students and parents alike reported that the novelty of attending school online resulted in very engaged students, and the digital snow days count as a full school days (no make-ups later). It’s one thing for the whole school to provide online learning during a temporary closure. It’s a somewhat different challenge when an individual student is forced to miss school because they cannot physically be there. Kids undergoing cancer treatment or recovering from another debilitating illness or injury are often out of school for weeks or months at a time. They not only fall behind their classmates in terms of learning, returning to school can also be hard for them socially because they’ve been out of sight and, too often, out of mind. The ability to easily shoot and stream video with smartphones and tablets creates a whole range of opportunities for students to stay connected when they’re away from school. Teachers can record lectures for students to watch at home, much like a “flipped classroom” approach, and they can enable remote students to actively participate in class discussions using live streaming and videoconferencing technologies like Skype. Some schools have taken this even a step further, using robots as 3-D “avatars” for students who are away from class for medical treatment. Designed for children ages 4 to 12, the robots allow remote students to connect to school using a simple tablet or computer interface. The robot sits in the child’s chair and its integrated camera, microphone and speakers let the child see and hear what’s going on in class and speak with their teacher and classmates. The child can control the robot’s movements in order to communicate gestures, such as raising a hand, nodding or shaking the head. The robot is highly engaging for students in the class, who see the it as a very cool avatar for their schoolmate. In so-doing, the robot not only helps the sick child stay current with classroom learning, it helps them re-integrate better when they return to school. While the technologies exist to create these online learning environments, school systems that are using the Skooler Learning Management System for Microsoft Office 365 have everything they need to support online learning without having to completely re-tool the school. Let’s use the digital snow day as an example. Notify and organize the digital snow day. Using Microsoft Teams, administrators can connect and collaborate with teachers and other school personnel across the entire school system using chat, online meetings and Office 365 apps. Inform parents. Using the parental communication features in Skooler, administrators and teachers can send out notices to parents providing instructions for how the closure will affect them and how to help their children get online from home. When the weather event is over, it’s easy to notify parents when school will resume. Access everything from home. Because learning plans, grades, assignments and digital projects are saved in the cloud, they’re available from anywhere. Students who are working on assignments in school can access and continue their work at home. Teachers can remotely create assignments, update handouts, grade papers and provide formative assessments as projects go along – adding a direct and personalized aspect to remote learning. Make learning engaging. Students eagerly embrace assignments that let them watch videos, contribute to online notebooks and digital whiteboards using OneNote, engage in gamified learning or participate with their classmates in online live video discussions using technologies like Skype – all integrated in Skooler. When the weather clears, pick up where you left off. Schoolwork done remotely is captured in the Skooler LMS so teachers and students can keep the forward momentum once they return to school. If you’re intrigued by the concept of the digital snow day or helping students with temporary absences keep up with class, Skooler can help you get there.